As per Cheetah Lab and UC Joint Report, Indian smartphone users spend 1.1 hours on an average on content related to entertainment every day. According to the total rate of content consumption on UC News Feed platform in India, Entertainment is the largest category in mobile content consumption for Indian users?accounting for 27.4%?followed by Sports and Lifestyle?which accounts for 18.6% and 13.8% respectively. The report is based on consumption habits of Indian mobile users during the time span from January to September 2018. According to UC News Feed?Entertainment remained the most consumed category?followed by Sports and Lifestyle. Articles?texts and images? remain the main form of creation for Indian content producers, accounting for 88% of all entertainment content, whereas video accounts for over 11% of all content consumed. 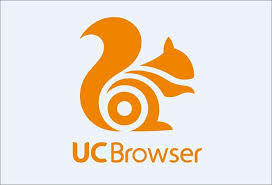 Looking at in-app consumption of UC Browser and UC News, articles retain the top spot with overall consumption accounting for 83.59%; and video consumption at 16.41%.According to Cheetah Data, gender ratio of Indian entertainment users is identical to that of Indian internet users, where men account for the majority with a ratio of 67.89%. And 80.36% of all entertainment users are young people under the age of 30. According to consumption data as provided by UC Media Lab, King Khan ranks No. 1 on the male celebrity ranking, followed by Ranbir Kapoor, Akshay Kumar and Ranveer Singh. The well-recognized Aamir Khan, a household name in China?has ranked 5th in the popularity list. Priyanka Chopra, who recently got engaged to Nick Jonas, ranks first in the female celebrity popularity list, followed by recently-married Sonam Kapoor and Deepika Padukone. In a range of categories for Apps in India, active penetration rate of Video Apps ranks 3rd?only after Tools and Communication apps, with a much higher rate than that of Social Media Apps?which stands at 67.3%. Movies and TV shows account for majority of content consumption in long videos. YouTube has a daily usage of more than one hour, and Hotstar of 55 minutes. Apart from video integration platform YouTube, which dominates the online video consumption, platforms with homemade content capabilities such as Amazon Prime Video and Netflix have also made India their key market, with number of Indian users gradually expanding in 2018. According to Cheetah Data, Amazon Prime Video and Netflix have seen a significant rate of increase in user weekly active user penetration from September 2017 to September 2018, where Amazon Prime Video has tripled, and Netflix has increased by 6.8 times.Hindi remains the main language, accounting for 69.02% of content; English content accounting only for 6.37%; and the remaining 24.61% are users of vernacular languages.